Thanks for logging on today. The first book in my Children’s Series, Adventures With Mr. Wugidgem, is available in print at www.createspace.com/3476205. If you prefer an eBook copy, please go to www.amazon.com/Kindle-eBooks and type in Adventures With Mr. Wugidgem in the Go box at the top of the web page. This is a short book – almost a short story – but it will serve as an introduction to the next, much longer book, that will be available within the next month. 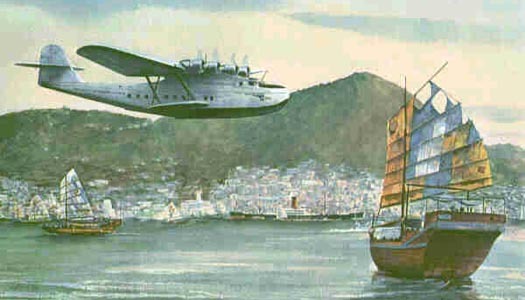 In last week ‘s Episode from my Dad’s book, Talking To The World From Pan Am’s Clippers, we heard about some of the frightening flights in the early days of Pan Am in South America. Today we’ll take a closer look at my parent’s life in Rio. Please join me again next week when we’ll fly with Dad as part of an eleven-man crew on his first Trans-Atlantic flight. Thanks again for listening!